Should Future Personal Trainers obtain Student Loans ? If you have decided to attend college to get degree in kinesiology to use as the base of your personal training career you have to find a way in which you will fund your education. 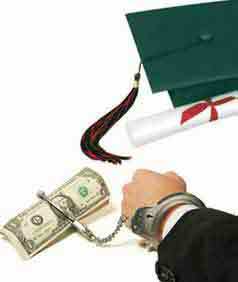 College loans are the logical solution if you do not have enough money to fund your own college education up front. If you attend a large university or community college, even if you’re studying for online college degrees, you are most likely eligible for federal college loans. If you are not 100% sure that college is for you, you should check out a small community or junior college first. You can take some college courses and see how you like it before you take out college loans. Even though federal student loans have a low interest rate they are still a lot of money. 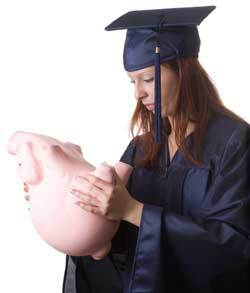 Paying the loans back over a period of many years is bad enough if you get your degree, but would devastating if you dropped out of school without your degree. Is there Any Important things to Know about College Loans? College loans are not your only option to fund your college education. If you fill out the FAFSA (Free Application for Federal Student Aid) you will determine your exact financial needs to attend college. The FAFSA is very important because you could be eligible for government grants. Federal education grants such as the Pell grant can fund much of your tuition and you never have to pay it back! You can also use the Pell grant along with federal college loans to fully fund your college tuition as well as your room and board. Remember, again you will eventually have to pay back all your federal student loans and there is nothing you can do to get out of them. Even if you file bankruptcy, your student loans will still need to be paid back. When do you Have to Pay Back College Loans ? Your school will provide exit counseling which will let you know exactly how to pay and what to expect payments to be. The interest rates on federal college loans is low compared to many other loans. The department of education will try to help you as much as possible and work with you to figure out a payment plan which you can afford. If you fail to make the scheduled payments you could be put into default on your loans. The government will not allow you to skip out on paying back your student loans. It is advisable to make the full payments on time every month or you could be subject to wage garnishment, tax refund offsets or a possible nasty lawsuit. Sometimes you may have multiple loans and multiple payments. To make this easy on you and lower your monthly payment and your interest rate in the process it is most likely best to get a consolidation loan which will turn all your college loan payments into one convenient monthly payment.